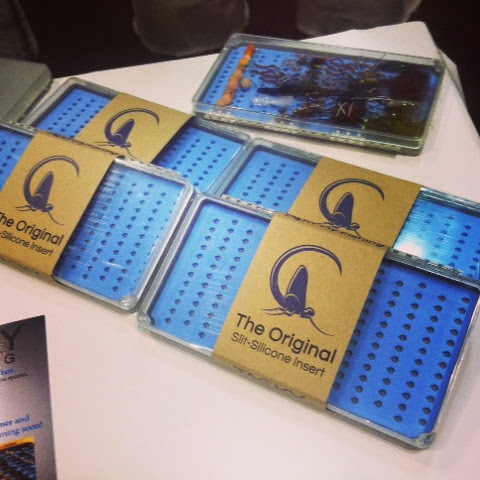 Here is the second installment of photos from the International Fly Tackle Dealer's show in Orlando, FL. 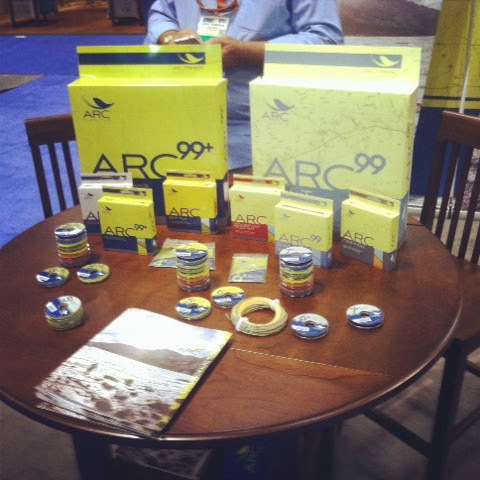 ARC Fishing is a new fly line company that is making some very innovative changes to the world of fly lines and tippets. Their products are also geared toward making fly line selection a little bit easier. I really like the camo tippet material and I can't wait to try out all their products! Adipose Boatworks had one of their beautiful driftboats on display. I'd sure like to try floating the Chattahoochee in one of these boats. I thought this was one of the coolest innovations of the show. 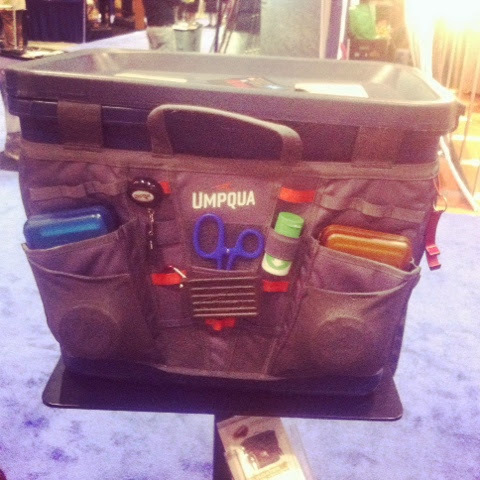 Umpqua was showing the new for 2015 Tailgater Organizer. This is a "saddle bag" design that can be adjusted to fit almost any style tote box, it will even hang on seat backs or railings! 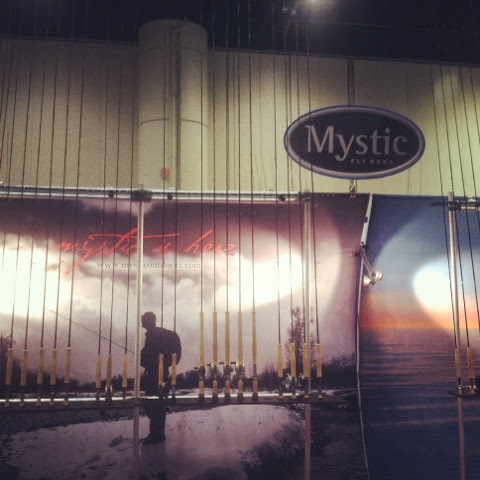 This is the Mystic Fly Rods booth. You need to check out their 3-weight switch rod! Reddington had some awesome products on display in their booth. 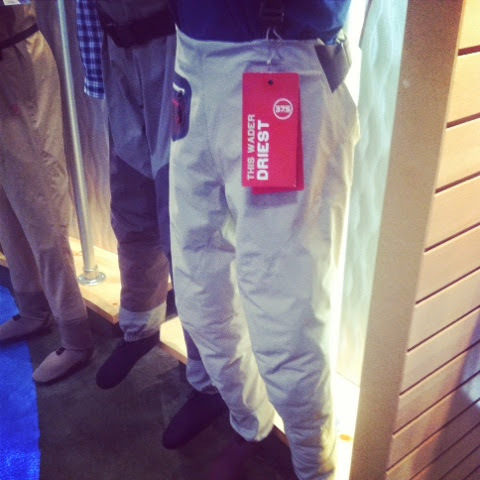 I really like the looks of these Sonicdry Pants. 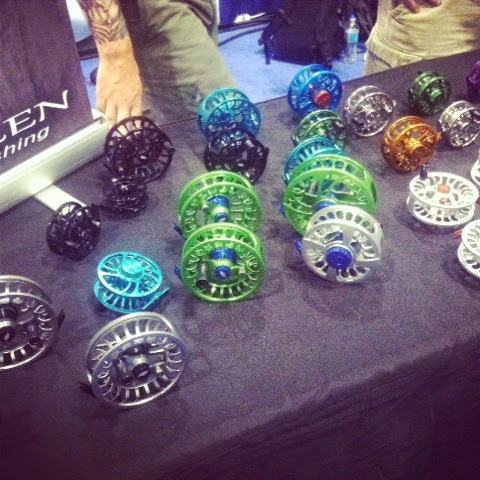 Allen Fly Fishing had a table full of their beautiful reels. Wish I had a table that looked like this! 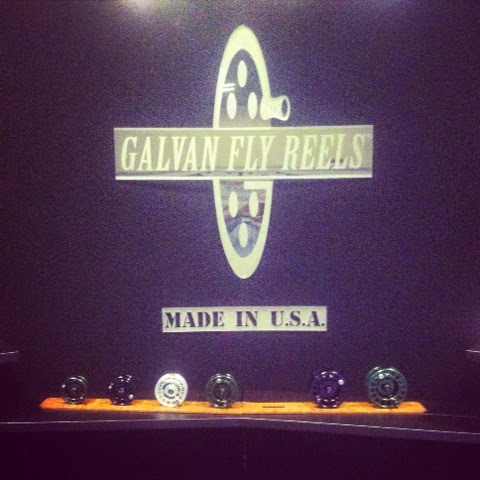 I was very impressed with Galvan Fly Reels, a family owned and operated company making some really nice reels right here in the U.S.A. I got to talk with the co-founders and inventors of the Tacky Fly Box, they're great guys and they've come up with a fantastic product. Look for a full review on this fly box revolution on the blog soon! 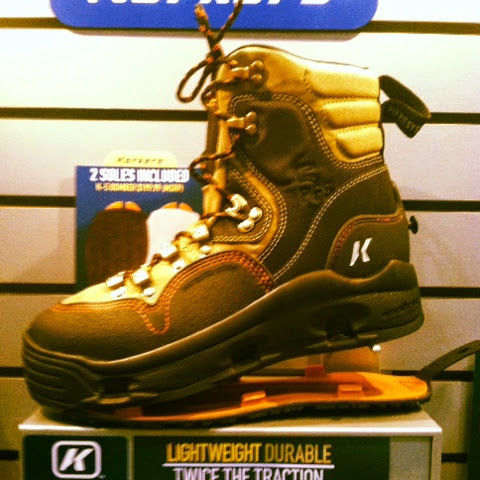 Sorry I don't have a better picture, but these Korkers boots are just awesome! 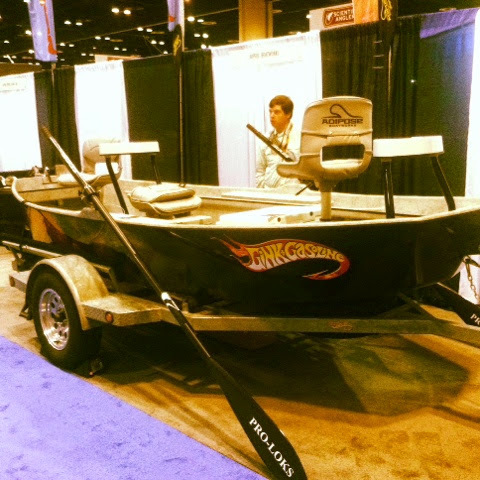 These are the K5 Bombers, built with fishing guides in mind. They're like the Swiss Army Knife of wading boots! The new Living Eyes from Fish Skull were amazing. 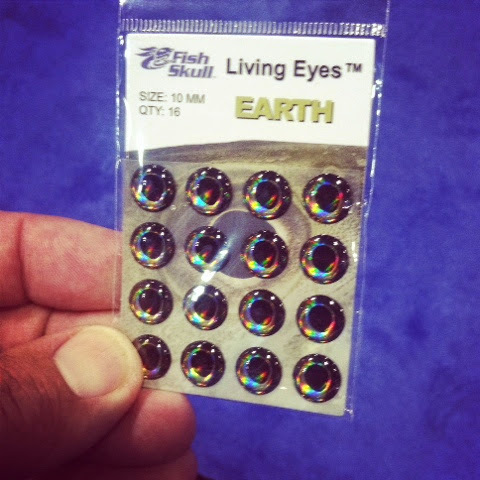 They're a 3D, Holographic eye for flies and lures and they are very lifelike! You'd have to see them in person to get the full effect. 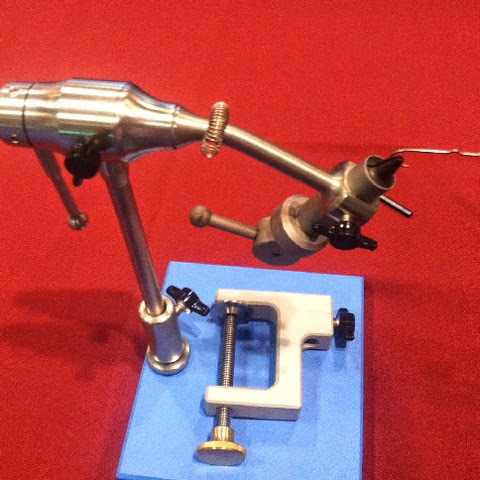 This is the Atlas fly tying vise from Wolff Indiana. I loved this full featured, full rotary vise. Made in USA and guaranteed to firmly hold from a 7/0 down to a size 32 fly hook! 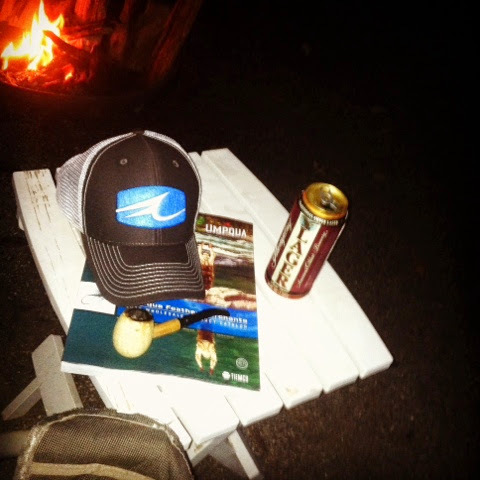 This is how I spent my second night in camp!